Portland, OR: Atlanta Bourbon Company attended this year’s American Distilling Institute (ADI) Conference in Portland, Oregon. This year’s conference was special for us because not only did we meet with long-time business friends of the industry, but were also identifying future suppliers and new business partners for Atlanta Bourbon Company’s first production facility in Atlanta. “We are currently investigating several properties for our future headquarters in Metro Atlanta, and meeting our suppliers at this year’s ADI conference was a great opportunity to discuss schedules as well as specific needs of each property with our suppliers,” explains Caroline Porsiel, CEO of Atlanta Bourbon Company. Even though Atlanta Bourbon Company is not revealing its current locations under investigation, some properties in the north of downtown Atlanta may currently be in favorable discussions. 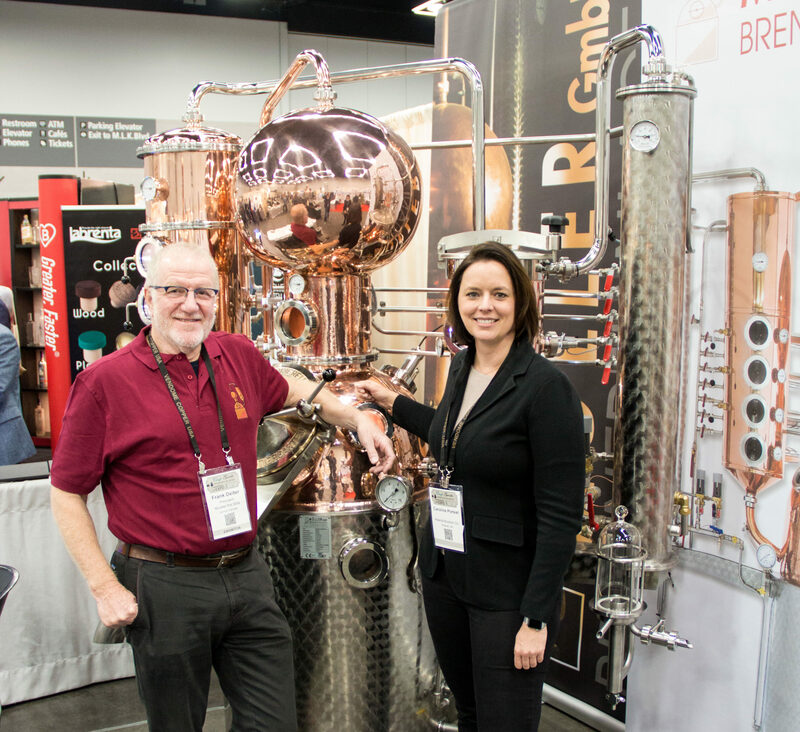 And of course, beside industry news and expo, the annual ADI conference is a great place to taste and learn about craft spirits and related products from around the world which can be inspiring as well as educational. It is in fact one of the most important craft spirits expos for North America. About Atlanta Bourbon Company:Atlanta Bourbon Company, a privately held craft distillery plans to develop and operate a facility in Metro Atlanta. We are a group of bourbon enthusiasts and industry specialists that share a common goal to distill premium, small batch spirits without any additives for our local community. We have brought some of the world’s best distilling experts to the company, and all of us want to help raising the bar for handcrafted bourbon throughout the US.